AP and I are in old Montreal for the weekend for a wedding (doesn’t it seem like I’m always saying we’re at a wedding??). So I have never been to Montreal or Canada for that matter. It seems that my ancestry points a straight line back to these parts, and I must say that I am having a bit of a love affair with the place. First off, it’s freezing cold here. I mean, we left New York wearing flip flops and are here in Montreal wearing wool coats. But randomly I’m loving the crisp air and near-wintry temps. Second off, the people are absolutely lovely. Thirdly, it’s a beautiful city – feels European, but more like a Swiss city rather than a French one. Quiet, quaint, yummy food. Looking forward to exploring more today, and having the full experience with the rehearsal dinner and wedding! No photos yet, but I’ll work on that today! 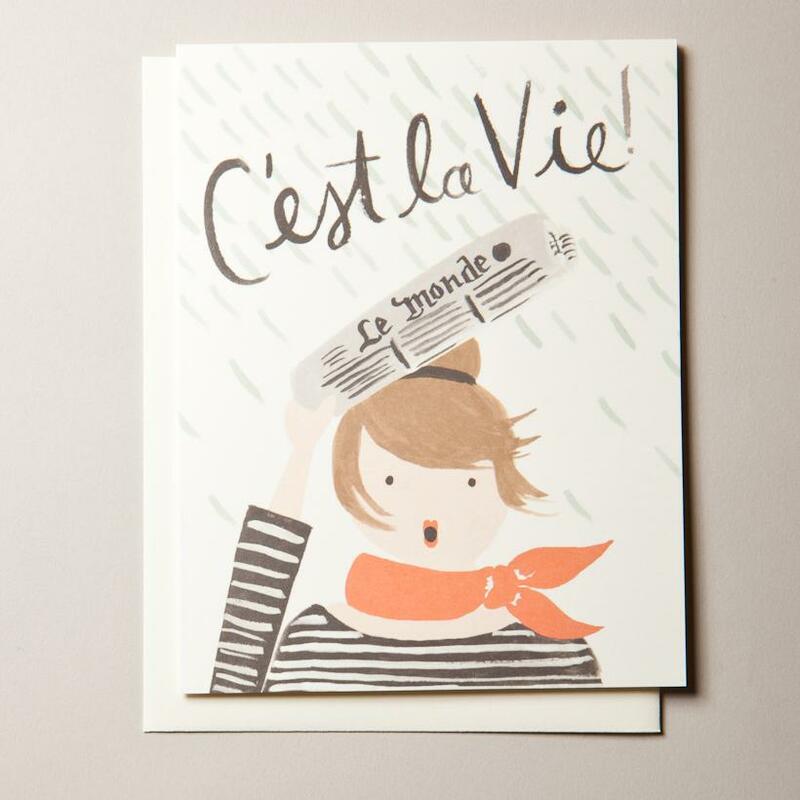 Just an inspired card to transition you into the weekend!